A band saw may be a complex tool for some of you but believe me, band saw maintenance is a very simple process. A good quality band saw, if maintained properly, will run and function efficiently for years to come without you having to worry about its replacement. 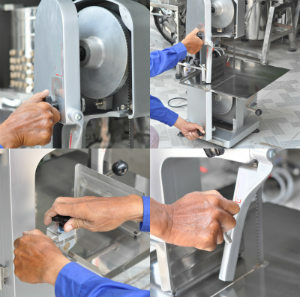 Almost all band saws come with a manual that guides its user to exactly perform the different steps for proper maintenance and usage of the machine. It is advisable that you go through that before you begin using the product and attempt to follow the instructions as stated. How often should you be performing Band Saw Maintenance? There’s no hard and fast rule for that. In fact, if you do some minute maintenance job each day and take its proper care, then you can schedule your deep maintenance of the band saw for the first week of each month. That’s relatively easy to handle and does not require much effort or cost form your side, since you have been working on it each day. nothing stuck in the teeth of the blade. The entire blade is free of any solid trash from the last cut performed. Oil the blade to reduce friction that will in turn decrease the amount of heat built up whilst function. Change the blade if you find that it is getting rough and is not performing accurately. For The Guides: The guides must be smooth and well mounted. They must hold the blade exactly for the right pressure to be built up during performance. Keep the workplace clear of any leftover saw dust as a result of the previous cut. Use a stick to clear off any wooden pieces stuck in the fence or on the sides. Also, use a slightly damp cloth to wipe off the machine if needed. Use a tension meter to keep track of the accuracy of the blade. Oil the wheels so they turn freely. Purchase a special lubricant that is available for band saw oiling. Use that for the best results. Lubricate the blade, the turning wheels and all other joints where friction may be developed during the operation of the machine. Check for any lose screws or nuts and tighten them in case you find any. Band saw maintenance, if done well can create a remarkable increase in the life of the machine. 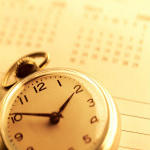 It is highly recommended that you follow the steps as you have been told, and you will notice a difference over time. When to contact Band Saw Maintenance Professionals? There are various manufacturers and companies that offer their expert advice and send over their professionals to perform the service of your machine. Now the question is, how often should you be calling them? Again, there is no fixed time schedule for that, but I will say, after every two-six months, you feel that your band saw is getting wearied over time, then you can contact the professionals to come over and pay your workshop a visit. They will advise you the best action and perform a deep maintenance service of your machine for you. This may be a little costly, but then for keeping your work at run, you have to definitely pay a price!